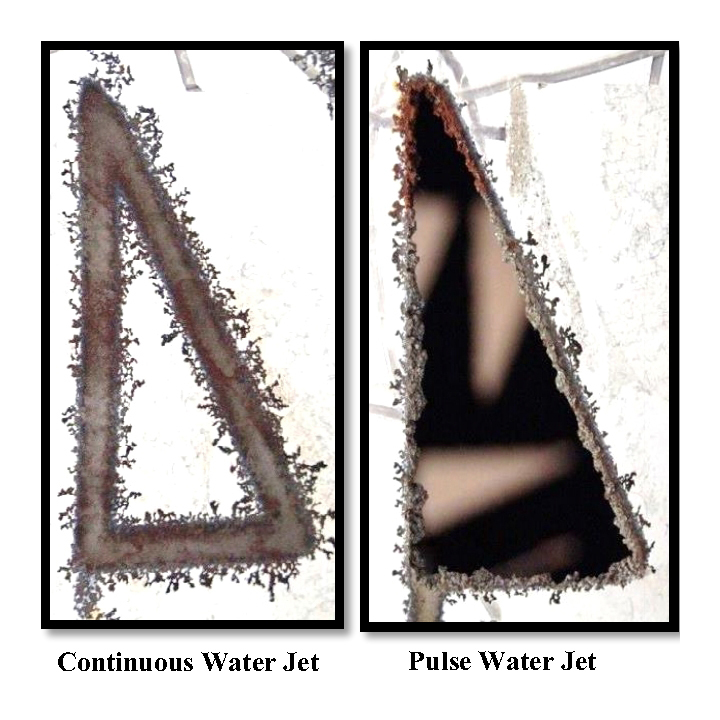 The pulse water jet can also can be used as a cutting tool. Characteristics of PWJ cutting includes a rough cut with no dust or heat generated, no abrasive media to clean up and dispose of and can typically cut up to 1 cm thick of any material depending on operating parameters. Potential uses include bulk rough cutting of aluminum sheets and cutting of steel pipes in nuclear power plant decommissioning.